As an Extension Educator, Lisa has developed a reputation among supervisors, colleagues, and clientele for being an organized, high quality teacher who gives direction to a county program with an annual enrollment of over 1,700 youth in Community 4-H Clubs, 896 in Special Interest programs, 441 in 4-H Camping Programs and 834 in School Enrichment Programs. This total of 3700 is one of the top five counties in the state in terms of youth touched by 4-H. 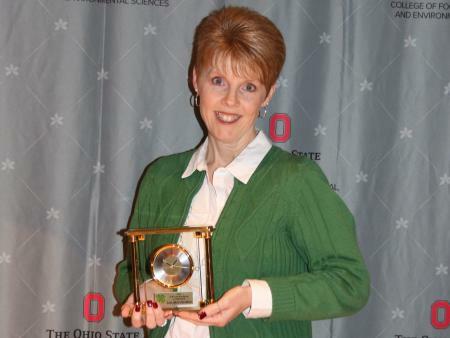 In addition to continuing expansion of the 4-H program in Licking County and her contributions at the state level, Lisa accepted the role of Co-Chair for the 2018 National Association of Extension 4-H Agents Conference. As a result of her outstanding leadership and organizational skills, Ohio 4-H and our capital city were showcased on a national level.